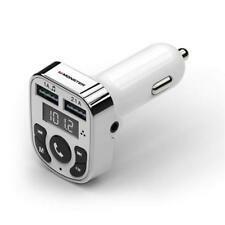 Monster Bluetooth FM Transmitter ! Hands Free Calling ! 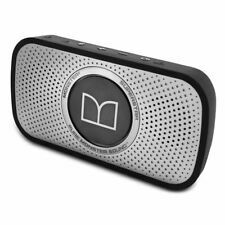 Monster SuperStar High Definition Wireless Bluetooth Speaker & Speakerphone Black/Grey. The sound that fills the room is clean, articulate and transparent. And when paired with your smartphone, it brings crystal clear calls to a whole new level. 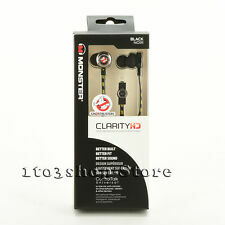 Monster Ghostbusters Clarity HD In-Ear Headphones Headset w/Mic Remote Black. Step up to Monster clarity high-performance earbuds for better build, comfort, sound, isolation & clearer calls. The secure fit of the iSport Victory gives you 90% noise isolation. 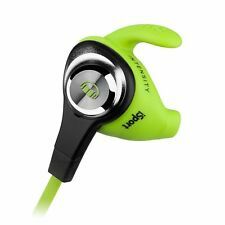 iSport Victory Wireless In-Ear Headphones. Pure Monster Sound wirelessly. Two Pure Monster Sound profiles (warm up and sport). Includes USB charging cable and soft carry pouch. Built in Microphone For Hands Free Talking. Trending at $15.51eBay determines this price through a machine learned model of the product's sale prices within the last 90 days. 100% Genuine. We carefully inspect each used item to make sure have minimal or no scratching. You can expect a fully functional product. Quality Tested. Pure Monster Sound with advanced Bluetooth 4.0 apt-X. Super-plush ear cushions. 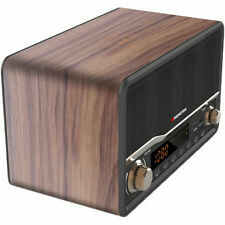 3 Listening Modes: Wireless, Wired, USB direct full Digital. Battery-level voice prompts. For iPod, iPhone, iPad, Smart Phone, Laptop, MP3, and More. Monster Award Winning Stubby Connections to Fit Tight Spaces. Connects Almost Any Audio Device With a 1/8" Minijack Headphone Port to an Audio System With RCA Stereo Audio Connections. 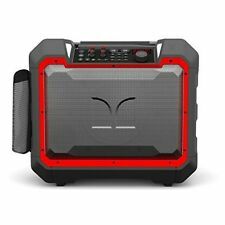 The Superstar Blaster Boombox Blaster/NFC speaker is perfect for large outdoor events like BBQ, pool parties, Basketball courts, Beach and more. It's all about the bass. The Blaster cranks out bass and decibels that is unimaginable from a portable radio. Model Super Star Hotshot. Monster Superstar Hotshot. Type Portable Speaker System. To Fit Speaker. Monster Model Type: Portable Speaker System UPC Connector(s): 3.5mm Audio Jack, Micro USB Wireless Technology: Bluetooth. Monster iCable for Apple iPod or Mac 7ft 3.5mm Audio Mini to RCA Stereo - Also great for iPhones, iPads, Samsung Galaxy and more. iCable incorporates Monster Cable's latest audio cable technologies for digital MP3 music in a compact design to match the portability of your iPod. The Monster iCable 800 is a convenient 1/8 inch minijack audio aux input for easy hookup of your iPod, iPhone, iPad, Samsung and other smart phones and portable media players to your car stereo. 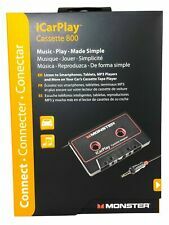 The iCable 800 for your vehicle gives you a direct wired connection to your car’s audio system so it gives you music with full clear sound that is static free from FM interference. 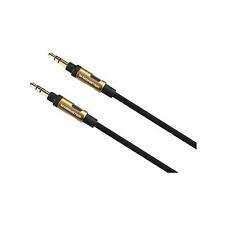 Monster 8-FT 2.4 M AUDIO 3.5 MM AUX CABLE Gold Contacts HD Audio - NEW™. Condition is New. Shipped with USPS First Class Package. By using Bluetooth 4.2, you can wirelessly stream music from your Bluetooth-enabled device. Connect devices with a 3.5mm audio port to play music directly with Hi-Fi stereo sound. Monster performance audio headset. w/Mic Remote (White). Superior noise isolation. 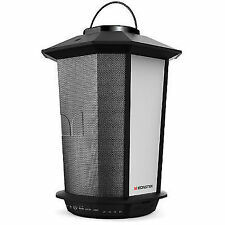 Only manufacturers warranty and product support applies to this product, if available. Monster Inspiration Headphones - Silver Brand New In Box. Condition is New. Local pickup only. Includes Carry Case. BE OPENED. Illuminate your sound! Wirelessly connect with up to 7 other speakers and let the music play well after the sun goes down. Monster DNA Headband Headphones - Black. Condition is Used. Small piece broken off just above the left ear pad, it not effect the function. Shipped with USPS Priority Mail. Turn your car radio with auxiliary into a Bluetooth audio player and handsfree calling device. 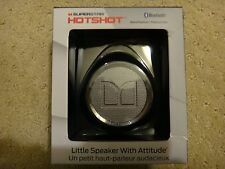 It’s the hotshot; the most compact of monster’s superstar line of portable wireless speakers. You and your friends can take the music anywhere: the park, beach, hiking, cycling, or just chilling or grilling. Equipped with two microphone and guitar inputs, two USB ports and a long-lasting battery life, this 100W Bluetooth speaker lets you rock out for hours on end.This is for one Portable Bluetooth Speaker Monster Rockin Roller 4 Wheels Built In Bottle Opener. 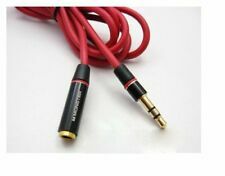 3.5mm Female To 6.5mm TRS Male Audio Adapter For Beats Studio Solo HD Headphones. Compatible with Beats Studio Solo HD Headphones. Earphones & Headphones. Grado iGrado On-ear Neckband Headphones. SONY TRS 6.5mm (1/4") Male Audio Adapter. MONSTER INSPIRATION - Noise Isolating, Over Ear Headphones, Black - BRAND NEW!!! Monster over-ear headphones color: Black. Headband Headphones. Noise-Isolating over-ear headphones with exceptional audio quality. Personalize headphones through interchangeable headbands. Includes a straight mini-to-mini cable for airplane listening. 4.5 out of 5 stars - MONSTER INSPIRATION - Noise Isolating, Over Ear Headphones, Black - BRAND NEW!!! 37 product ratings37 product ratings - MONSTER INSPIRATION - Noise Isolating, Over Ear Headphones, Black - BRAND NEW!!! Original Monster Beats By Dre Studio Headphones. Condition is Used. Headphones and original cord included. Genuine Powerbeats Battery. Battery has been tested and is working properly. Battery is 90mAh. If you need help with the install watch our YouTube video. "How to repair PowerBeats 3 3.0 PowerBeats 2 Wireless Battery Repair Replace.". 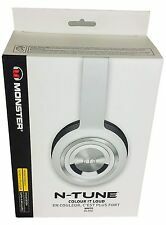 NEW IN BOX Monster N-Pulse Headband Headphones - Black. Condition is Brand New, still in original packaging with the plastic wrap still on. Shipped with USPS Priority Mail. The box has a few minor dents in it (see pictures). Monster Beats by Dr. Dre Studio Headphones with Case Selling a pair of Beats monster studio headphones with case. The headphones are in great working condition. They sound great, even with the cheapie audio cable I'm including. The only issue is that the gray soft rubber parts on the inside edge behind the ear cups is getting a bit tacky. Takes two AAA batteries. All proceeds go to charity. Thank you! In our society, people with disabilities live their lives being told what they can't do. Opportunity Village strives to break that stigma, encouraging the people it serves to follow their dreams. Specific Condition Details: Very Good. Monster 4ft. 3.5mm Male To Male Auxiliary Aux Audio Cable Cord - White Gold. Condition is New. The Tower of Music 2 wireless Bluetooth speaker is a new addition to Monster’s EZ-Play series of multi-unit audio systems. The speaker sports all of features that made the first Tower of Music great. Pair this speaker with your smartphone, tablet or other Bluetooth-enabled device. NFC technology enables one-touch pairing. Auxiliary audio input. Built-in carrying handle enables easy portability. RARE HEADPHONES COMPLETE WITH CD, ASSORTED BUDS, CARRYING CASES, MANUAL AND BOX. HEADPHONES IN EXCELLENT WORKING CONDITION. AND LOOK GREAT TOO! Connects Almost Any Audio Device With a 1/8" Minijack Headphone Port to an Audio System With RCA Stereo Audio Connections. For iPod, iPhone, iPad, Smart Phone, Laptop, MP3, and Mor. Monster Award Winning Stubby Connections to Fit Tight Spaces. 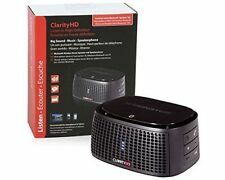 This is a revolution in multi-room wireless audio, giving you more ways to connect to the music you love, including Bluetooth, Wi-Fi and hardwire connections. Whatever streaming music you desire, StreamCast can play it, and without a bridge or gateway that other wireless speaker systems require. Monster Boombox. Use indoor and outdoor. EQ Modes for optimized listening in any space. Bluetooth audio streaming for wireless freedom. Superstar monster blaster. Portable Speaker System. Wireless Technology. ROC Sport Black Platinum. Hand-tuned Pure Monster Sound with tight, detailed bass.